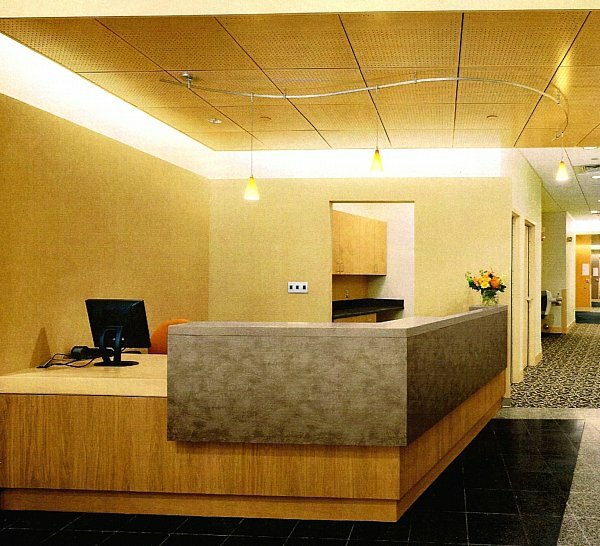 Indirect lighting creates a focal point at the reception desk. 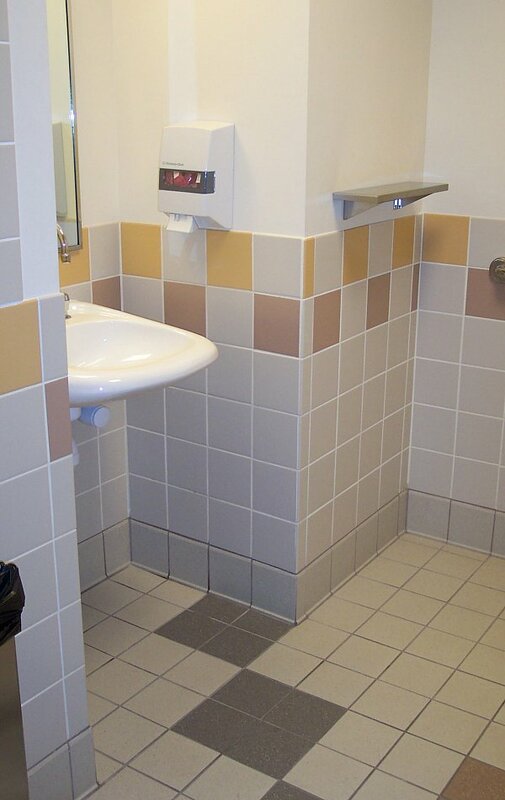 Bold, colorful patterns carry into the restrooms. 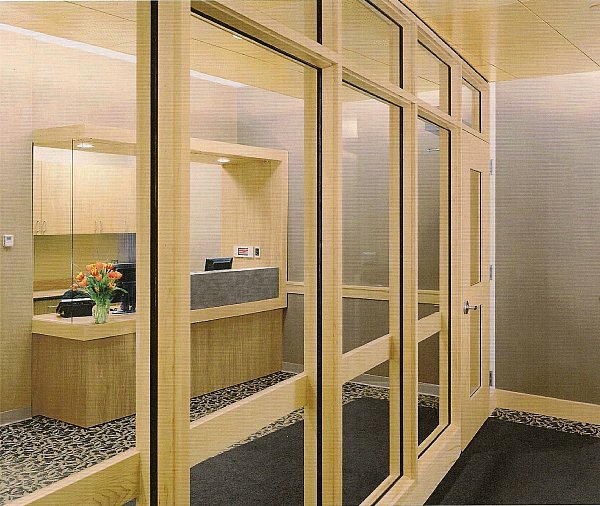 Glazing allows light to permeate the windowless space. 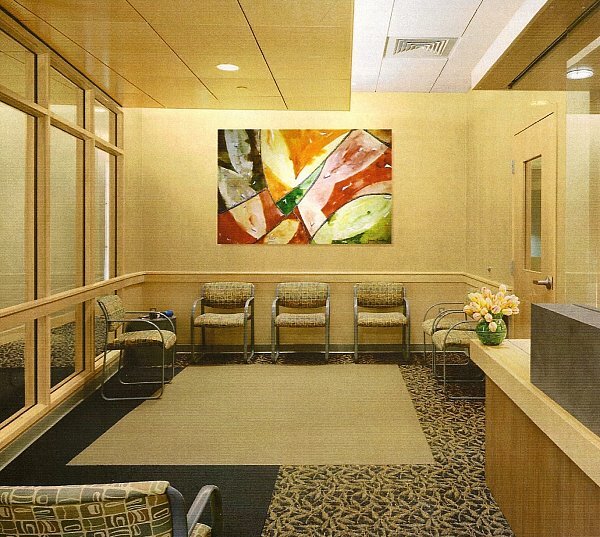 Textural finishes and nature-oriented artwork create a calm waiting room. 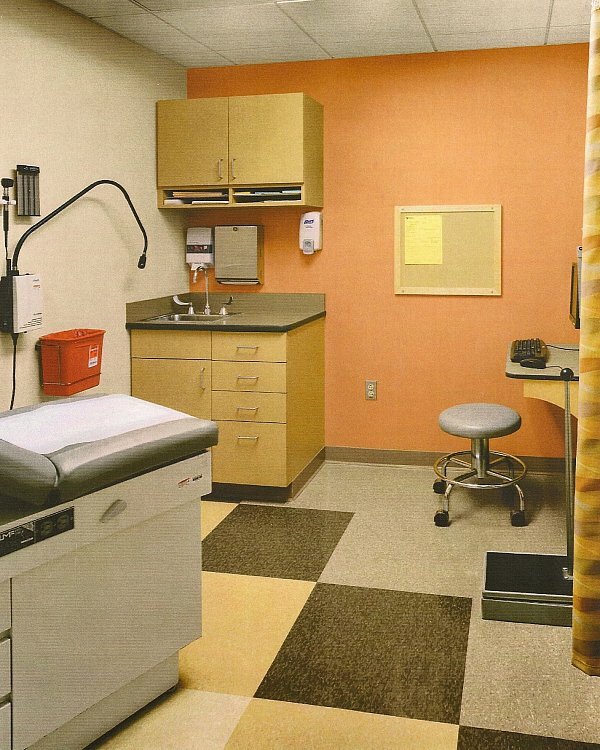 Color makes up for the lack of windows in exam rooms. 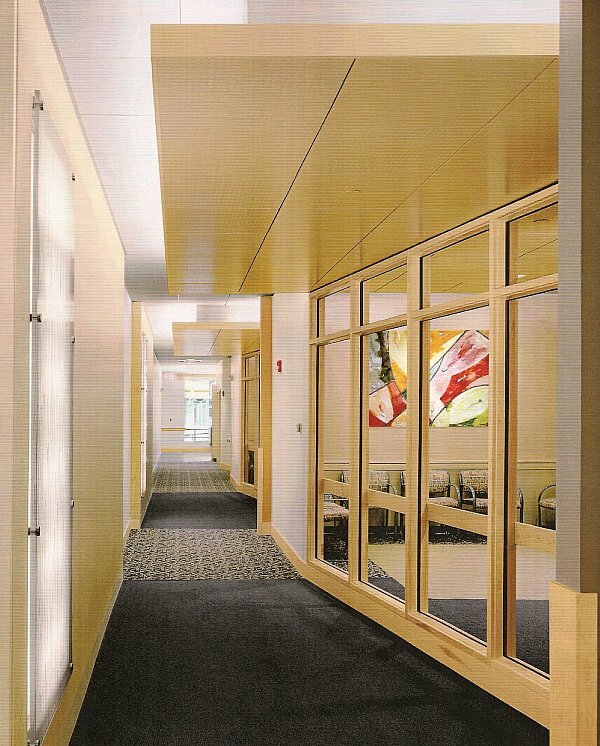 Back-lit artwork and wood soffits delineate entries to each medical suite.